I'm pretty excited because I received a few days ago from Kpoptown product TONYMOLY brand, (*ﾟ▽ﾟ*)(*ﾟ▽ﾟ*) Luminous Pure Aura CC Cream really is very exciting because this product have seen pretty good. Remember as always my dear readers my views are based on my own experiences with the product and I´m 100% honest. "Color-change twist cream - color change cream with the mixture of various color capsule(black/red/yellow) skin care+makeup - start with skin care, benefit from make up effect. 3 steps of twist cream brightening&conceals imperfections - Various color capsules(black/red/yellow) change with your own skin color naturally conceals imperfections, brightens up skin tone to appear radiant and healthy skin radiant skin - primer effect, no smudging, radiant skin tone moist formula moisturizes for 12 hours, clinical tested, 45% moisture base dermatologist tested 7 Free - parabene, benzo phenon, talc, mineral oil, organic pigment, sulfate surfactant, triethanolamine The era of CC cream has come for more natural make up. Do you still think celeb’s natural make up look is from BB cream? NO! NO! NO! Natural look with the BB cream generation has gone and CC cream has come. 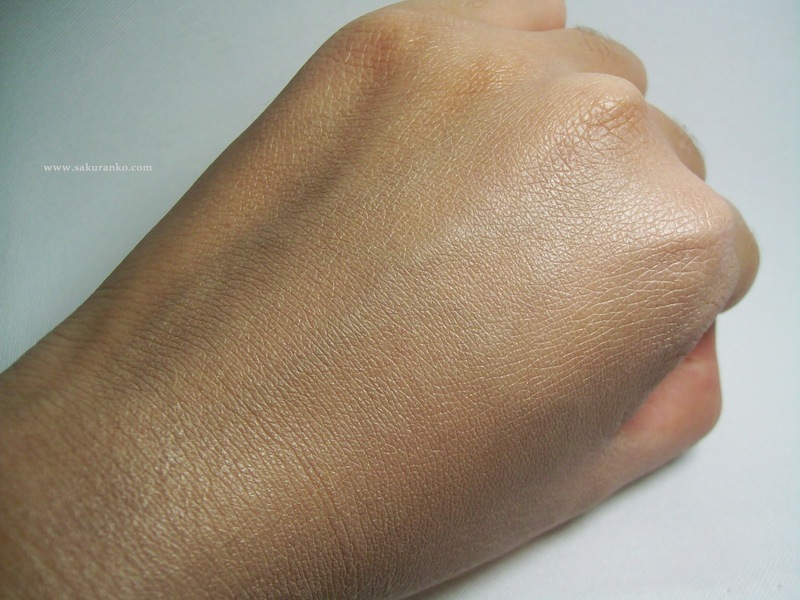 As BB cream’s coverage level is getting higher and higher and it is too much to appear healthy skin tone. CC cream makes perfectly natural skin tone as providing natural color change and skin care effect with moist radiance. Black/red/yellow color capsule pops and perfectly mixes up upon applying on skin to naturally conceals redness and imperfections. 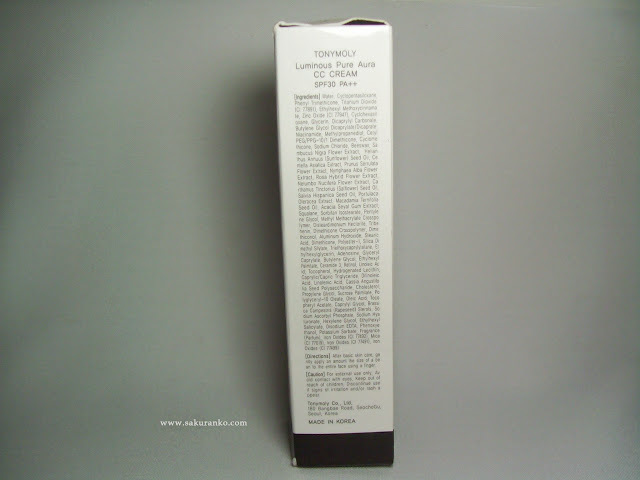 If you want healthy and natural skin tone, use CC cream now". 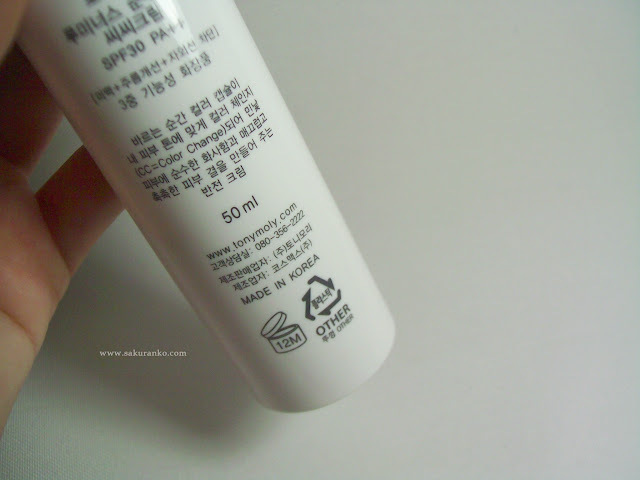 Basically the difference of this product to the BB Cream is that this product is not only cover blemishes but moisturize the skin and lighten naturally. It makes the skin look much healthier as well that not only fits but product changes color provides an interesting concept. 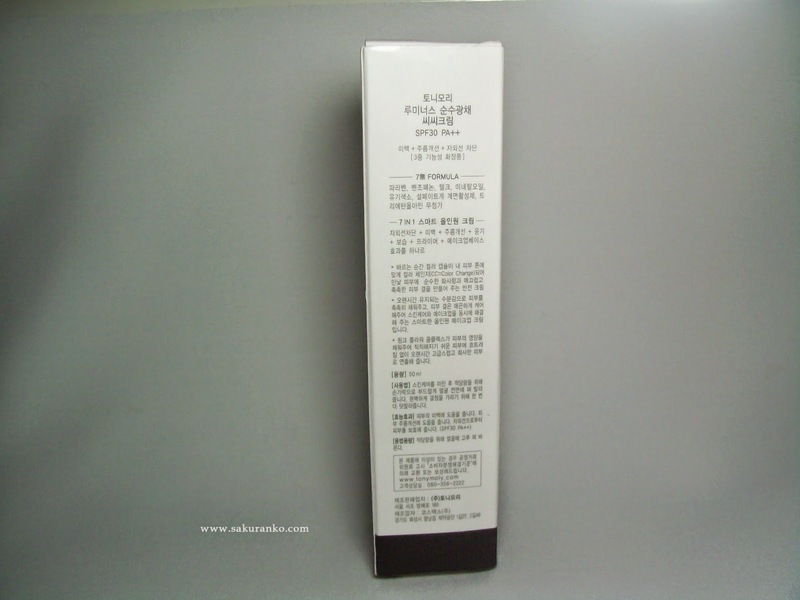 ★ Price & Quantity: This product contains 50 ml which I think is excellent because it is longer than usual and as with a small amount works well then I know that I will have of this product until next year even using it daily. The cost is $ 14 without shipping but also seems reasonable since there are much more expensive BB Creams and other Makeup products even less amount. ★ Fragance, Texture & Color: The fragrance is very soft to me smells like baby lotion, no strong chemical smell is delicious smells extremely soft. 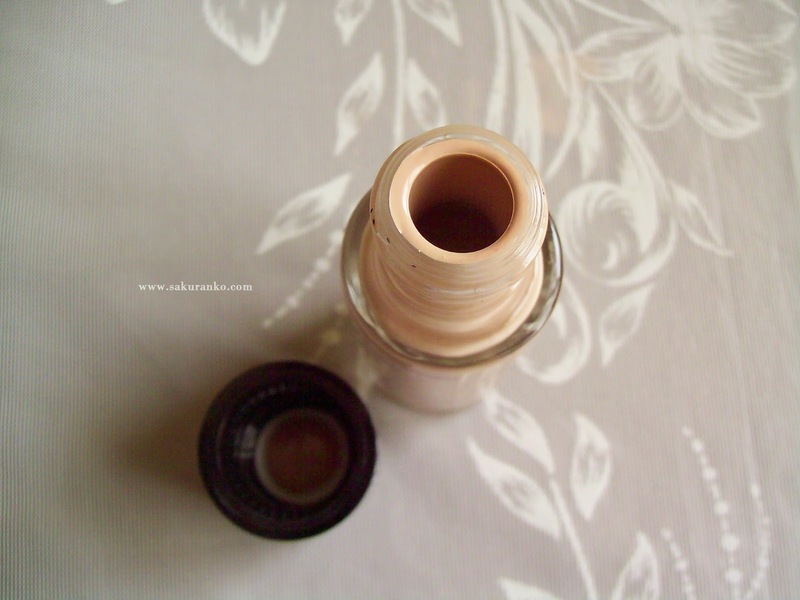 The texture is very creamy very similar to a lightweight BB Cream. One thing I love is that it blends easily. The color is white but changes color as you apply it. As you can see completely white looks quite creamy and delicious smells. - 7 Free - parabene, benzo phenon, talc, mineral oil, organic pigment, sulfate surfactant, triethanolamine. - Has SPF30 / PA++. 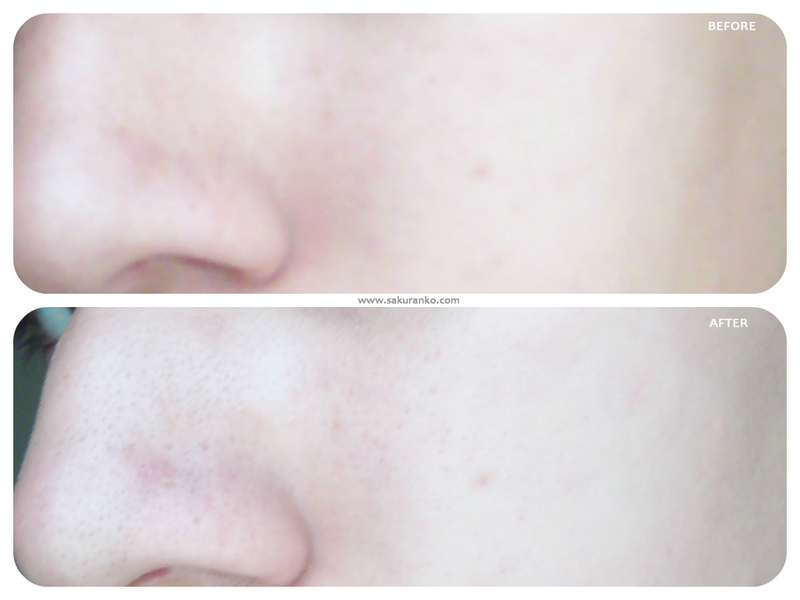 - Gives a more natural look clear and covers the redness and imperfections. 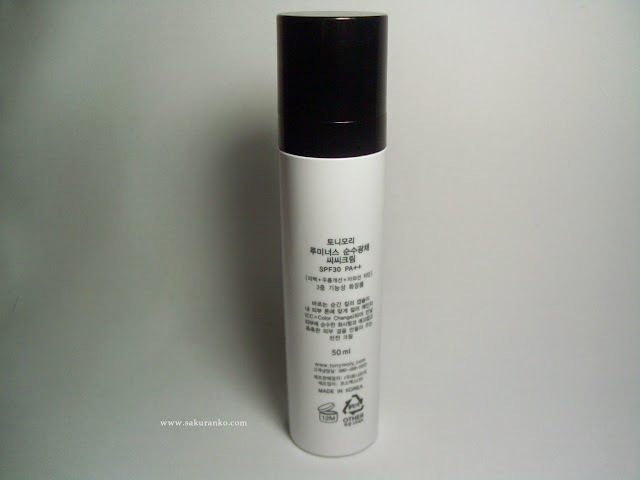 - It's so light and natural that can be used every day. 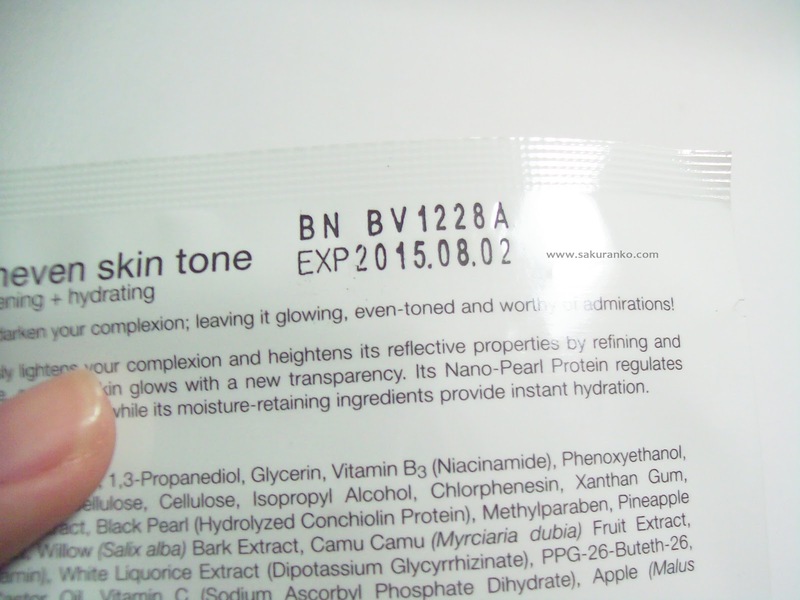 It is well suited to skin tone. 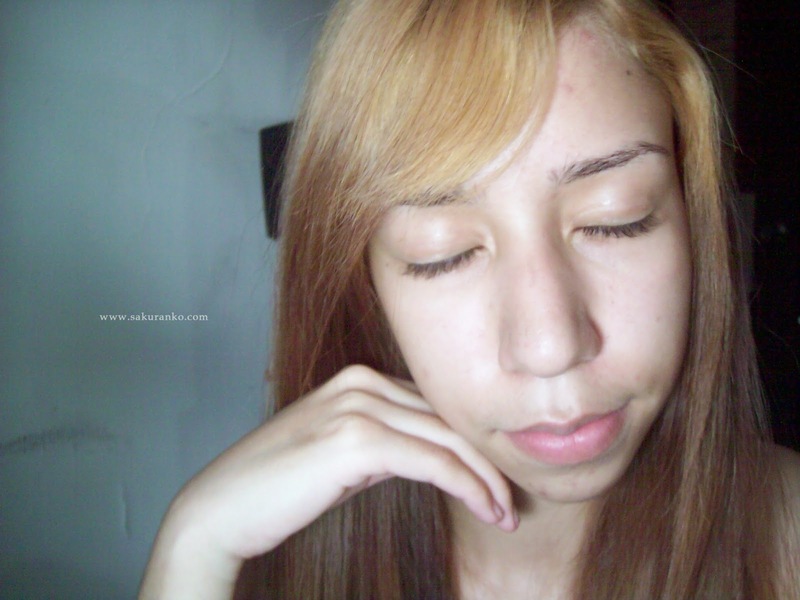 - Gives a natural healthy look to the face. 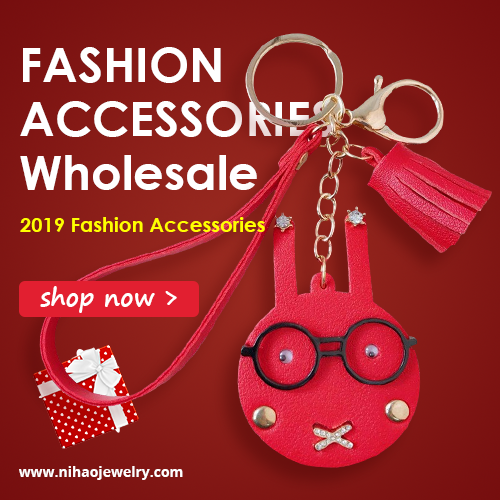 - Can be purchased in some countries only online. This product has been very reliable with all that it offers, something that I really like is that not is sticky or have a chemical odor. 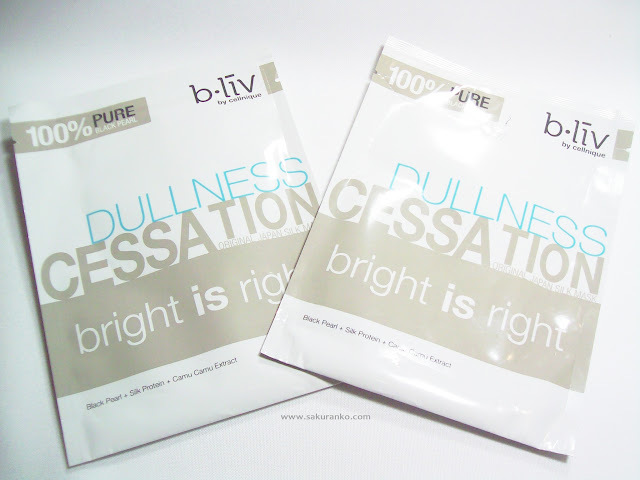 Is light but at the same has given a very uniform color to the skin and reduces redness. 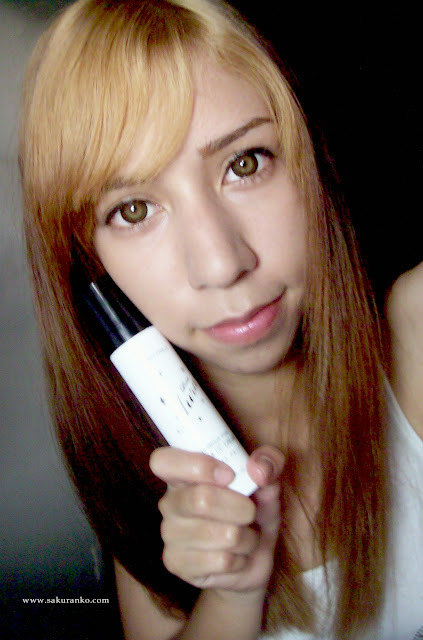 ！( ☆∀☆) Upon hearing of the CC Creams asked me to have this again in makeup innovation? And it turns out that gives a very light and much more natural. I like it that brings a color but the color is transformed. 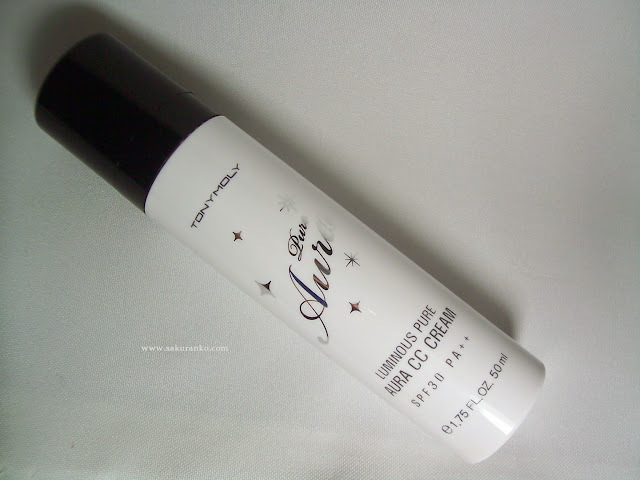 This CC Cream is very good for oily skin because it leaves a mild effect on the skin but not too greasy as some BB Creams and even some foundation.. ＼(^o^)／♡ I love completely and yes I recommend for all skin types as it moisturizes great and it has no bad chemicals that pile of skin think it is ideal for dry and sensitive skin. (灬ºωº灬)♡ This product is now part of my makeup routine as it is great and perfect for my skin to make it look bright and healthy, so I need less foundation. 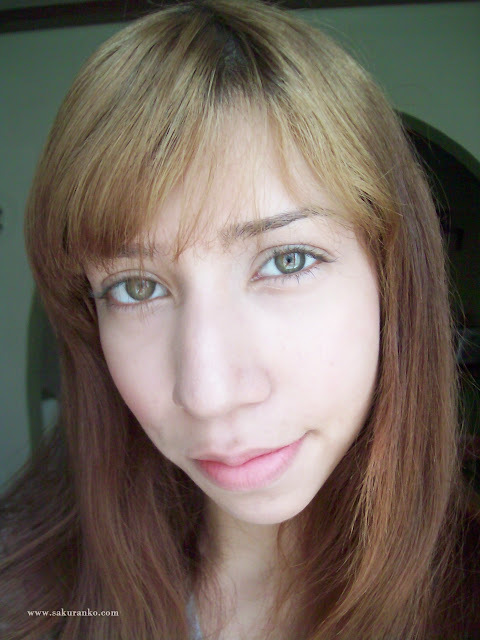 Here I'm only using TONYMOLY Luminous Pure Aura CC Cream and powder and all my face and looks really natural. Of course I'm using Circle Lens and eyeliner all over my face but I'm using only the CC Cream + Powder looks really natural and I love that.I recommend this product actually TONYMOLY not disappointed with this product. (((o(*ﾟ▽ﾟ*)o I really am pleased with this product. I tried to make as detailed as possible this review to not escape any detail. Thank you very much for visiting I hope you liked this review! Many thanks for visit me and if you have any ask about this product put in a comment! 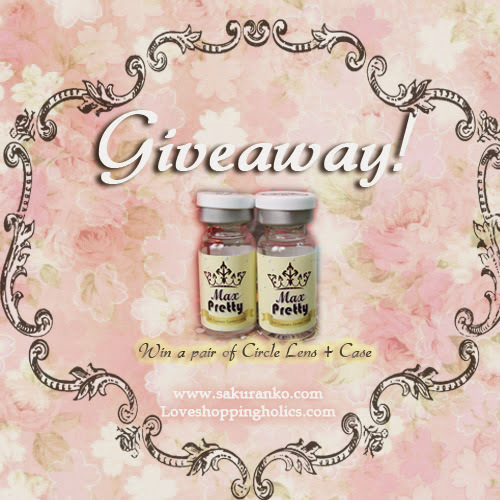 This is a really nice day, as I collaborated with LoveShoppingholics they decided to sponsor one giveaway to win 1 pair of Circle Lens + Case for all my readers. This giveaway is OPEN INTERNATIONALLY, so everyone can join and participate! 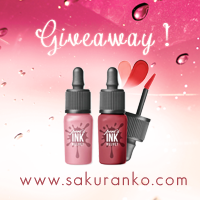 This giveaway begins 05/26/2013 and ends 07/01/2013 at midnight. Must "like" LoveShoppingholics facebook page.  Must "like" Sakuranko facebook page. +5 Re-blog this giveaway with the link to the post and with the image for blog post. Thanks to college I've delayed doing the reviews as I am at home today and next week I'm free from exams I bring a new lens review, lenses thanks to the store sent me Speciallens for review purposes. Remember my readers that my opinion is based on my own experience. ✿ Design/Pattern + Color: The design is quite naturally beautiful because it simulates the iris of the eye with three colors. A Grey-dark green thing on the edge, a deep clear in the middle and soft yellow near the pupil. I love because this design gives an effect Dolly but unlike other lenses with a color quite intense and natural. ✿ Comfort: They are incredibly comfortable they can be use for several hours without any discomfort. Only you should be well hydrated to avoid using false teardrops. 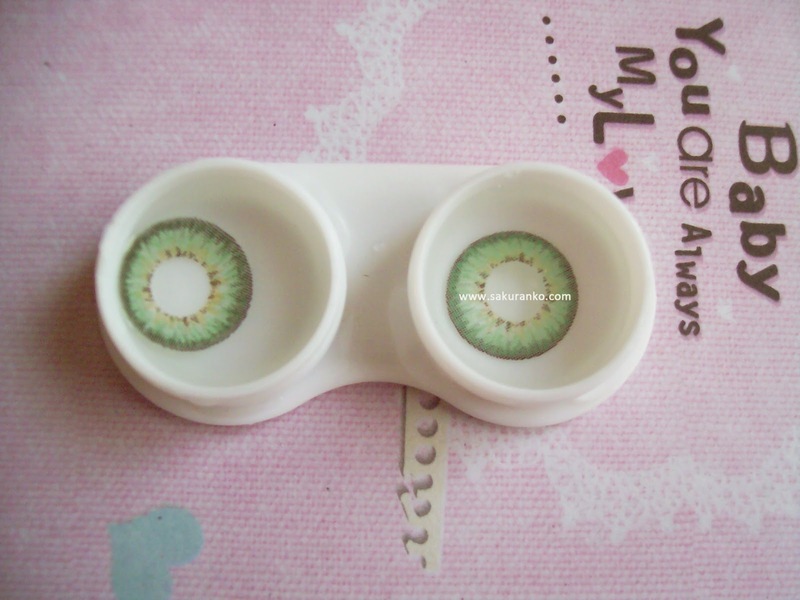 ✿ Enlargement: These circle lens quite enlarged, giving a very nice dolly effect and natural. Obviously the eyes look more the natural grade but not enough to look like an alien. 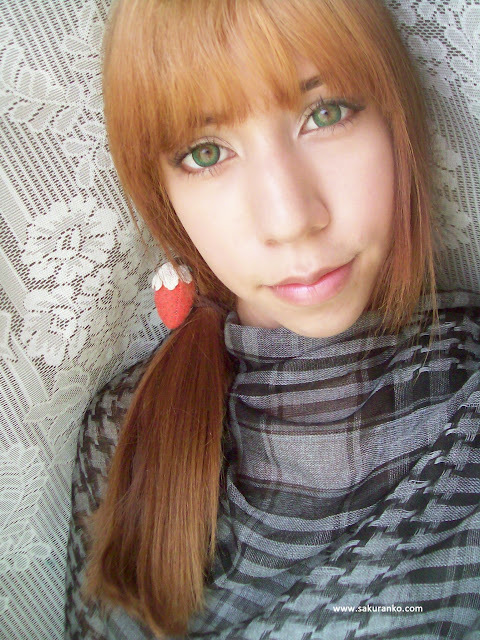 ✿ Overall: These lenses are one of my favorites and I have used this model but in blue before and they look beautiful. 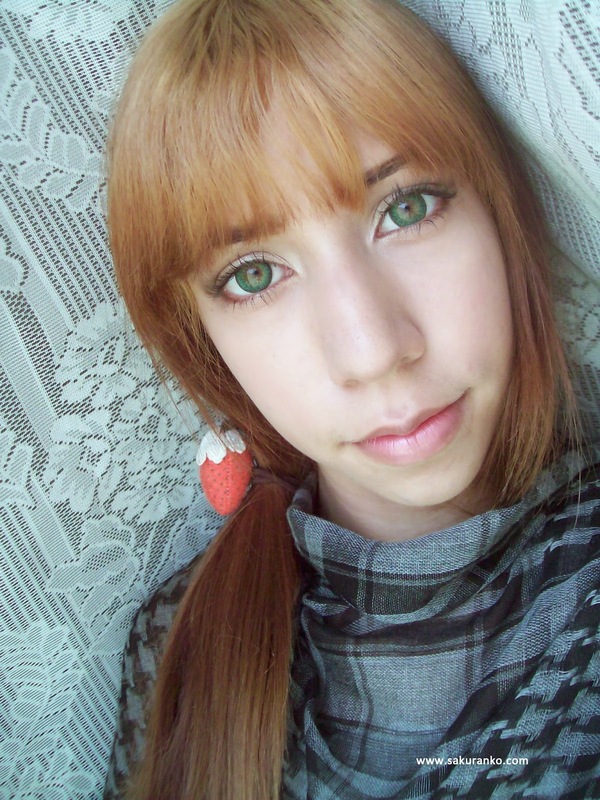 What's great is that no matter what type of eye color you have is going to blend very well. In my case as I have green eyes almost can not notice the difference at all apart from the design and my eyes look bigger. 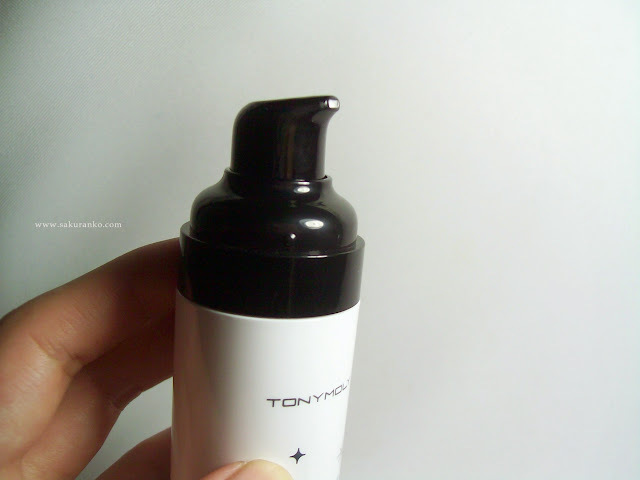 This is a foundation which I've read and seen many reviews since November last year I bought and still had not used it because I was using my beloved BB Creams (▰˘◡˘▰). 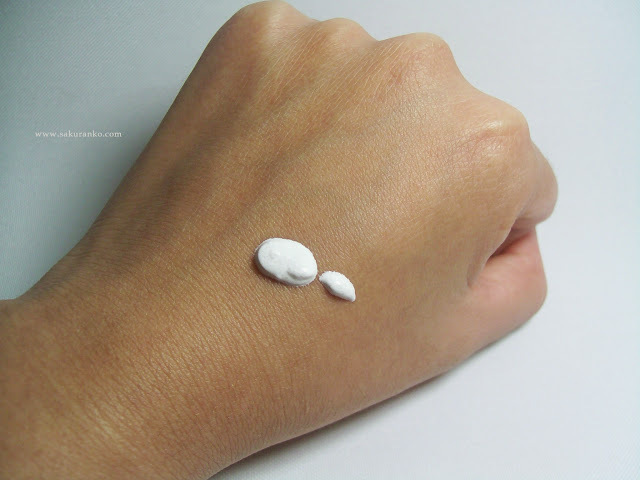 I have heard very good and constructive positive things about this foundation is ideal for oily skin which caught my attention because I have not found something that is a good foundation with a really control on oily skin. Longwearing coverage with a lightweight formula that won’t cake, fade, or rub off. With Time Release Technology specifically formulated for combination or oily skin to control oil absorption and shine. Your look stays flawless throughout the day. 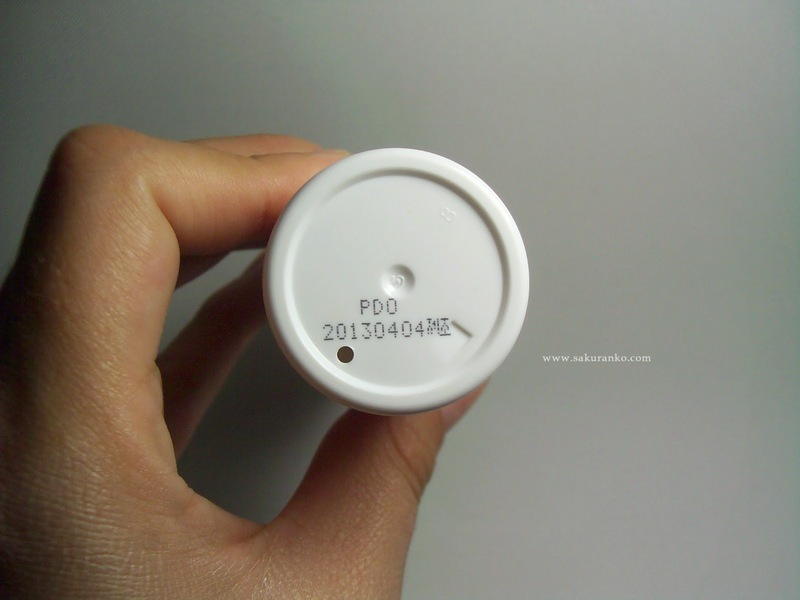 ★ Price and Quantity: This product cost me $ 14 if I know it is rather expensive to be a drugstore product but here in Venezuela makeup products are significantly more expensive so most of my purchases are online. (*´ω｀*) However, the product contains 30 mL which seems reasonable because although it is a little less than a usual BB Cream will last me quite a while. ★ Fragance, Texture & Color: his is the part where this product left me a little disappointed. 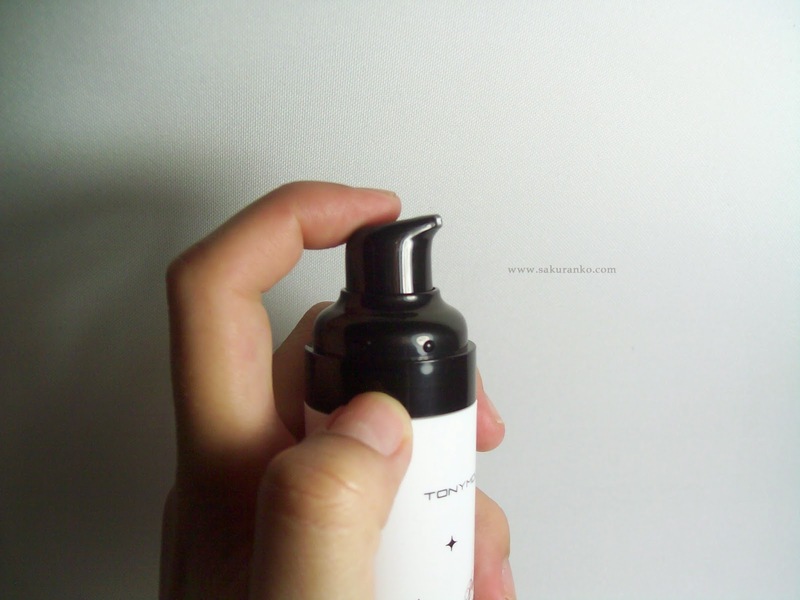 (/ _ ; ) As for the fragrance is quite intense and for me turned out to be quite annoying is like a cross between glue and sunscreen. It was really intense and annoying to me. 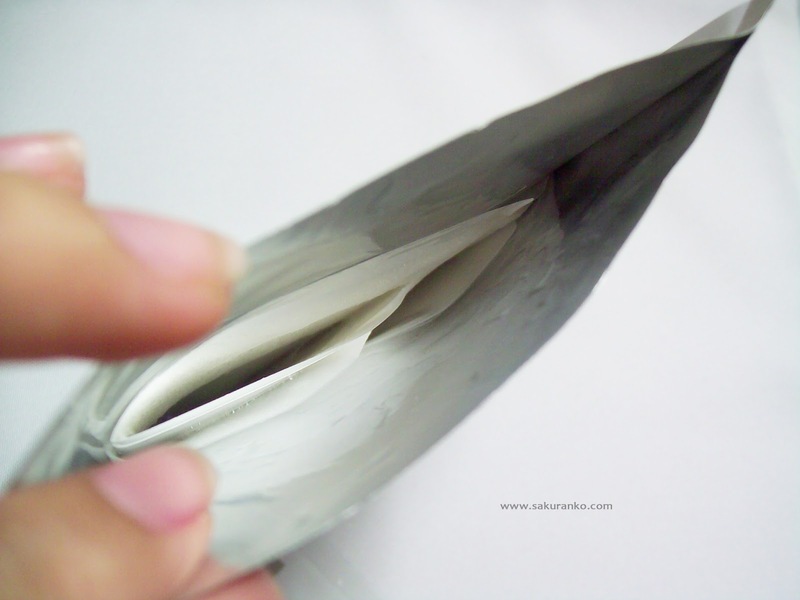 The texture is annoying but not if it is because of the smell but it reminds me glue diluted with water. It is very important to apply it with a brush and be quite fast because it dries quickly applied it with a sponge and I'm not such a good result. ヽ(￣д￣;)ノ Color is another thing I disliked is that the bottle looks lighter than it really is. Its application is significantly a little darker than my skin I don´t usually use Light Beige because it is very clear to my skin tone. 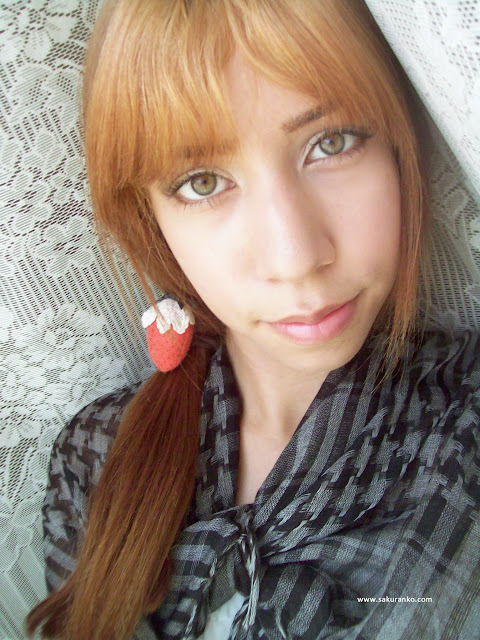 I´m not look tanned but is because I´m in from a window and I use my regular powder. ＼(^o^)／ Yay! 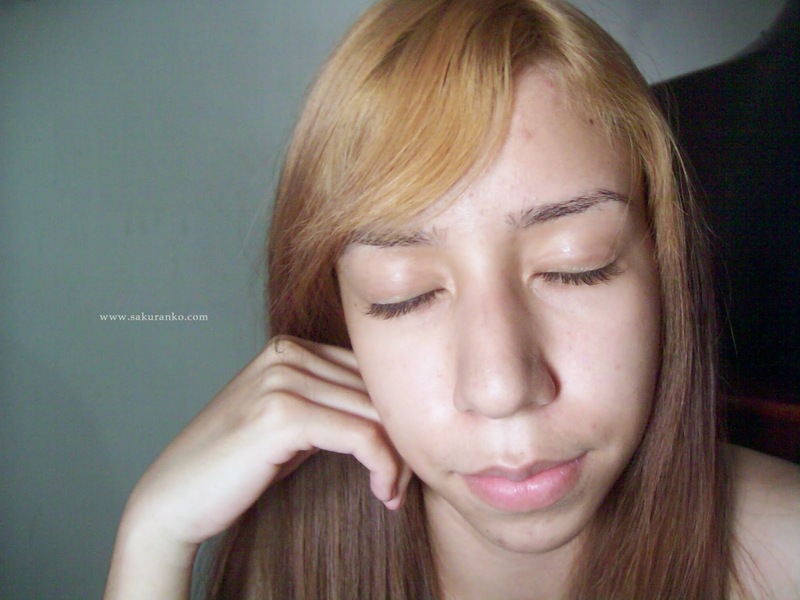 Glad not to look tanned but that if I use little amounts is not much use, because if I see tanned. Btw this pic is unedited light. 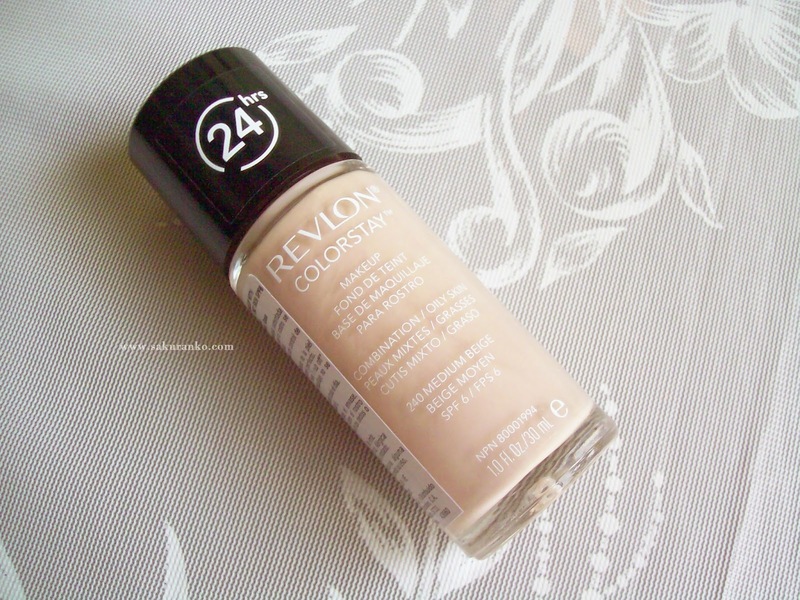 - Despite being a light base has a good coverage. 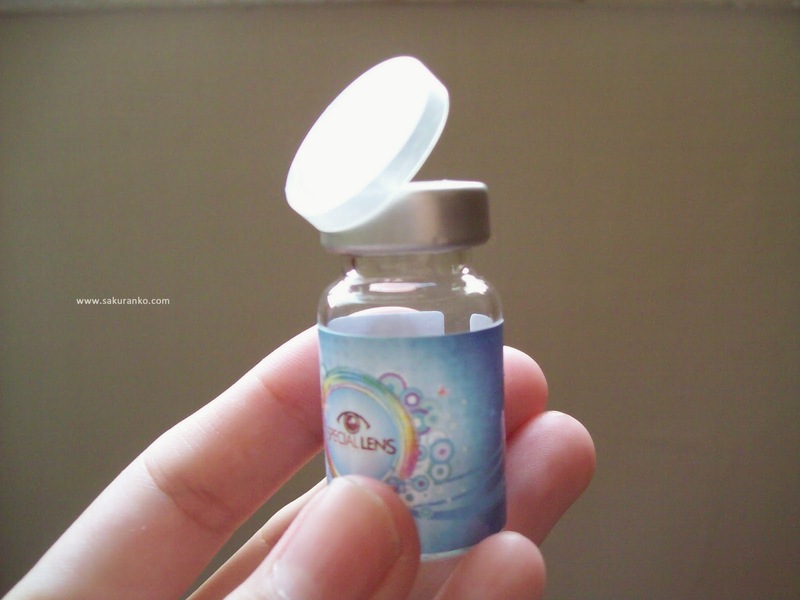 - It is easily accessible and can be achieved in drugstores or online. - It has SPF 6. - It comes in different shades. - It is long lasting. - It has a strong odor that can be unpleasant. - It is difficult to remove. - Deepen the expression lines. - The color of the bottle is not exactly equal to the product. I would like to say that I love this foundation but that's not true. ・゜・(ノД`)・゜・。In fact I must confess that after using it the first time the much hated first because the smell bothers me. Coverage is pretty good for what I'm using. 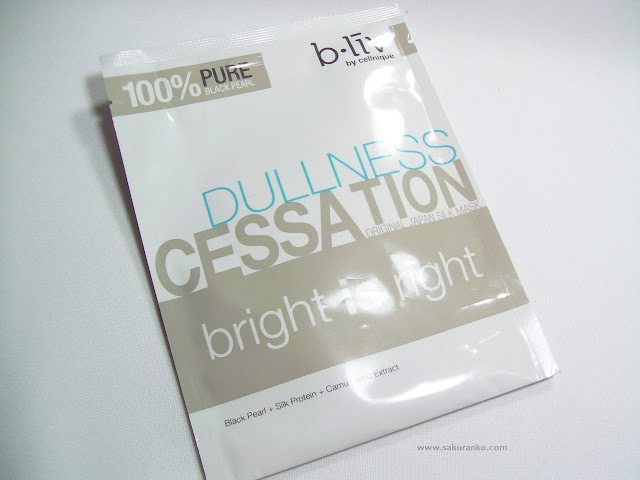 Something I'll confess is this product doesnt have control on oily skin. 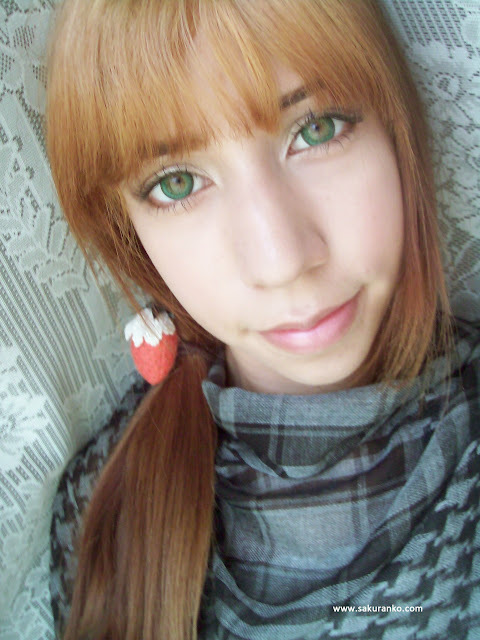 (￣^￣)ゞ When placing powder having applied even my skin looked bright as usual. （ ｉ _ ｉ ） And that was very disappointing much more than color or odor. 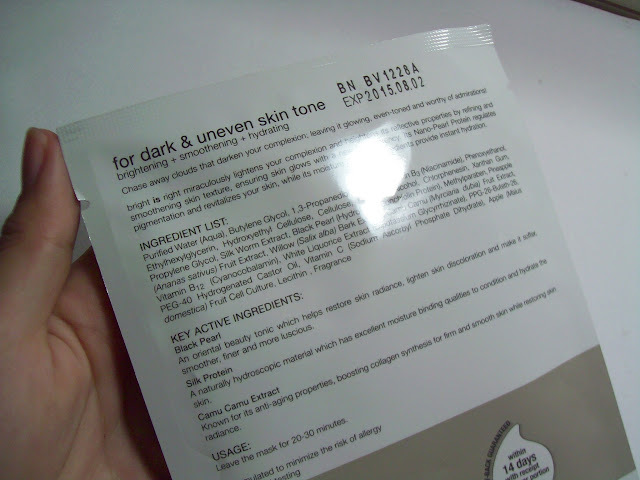 ヾ(*′Д｀*)ﾉ””” Maybe my skin is more oily than usual. I don´t purchase this product again. Today I want to share with you this video review of them Vassen Vanila MilkShake Gray lenses. Now all lenses Harne them a video review because I believe that video look much better. (❀•ω•❀) I want to apologize for the light in this video, I'm using a new lamp in the video above if I could use it properly and in this no. But then in the next video will improve this inconvenience.I want to apologize for the light in this video, I'm using a new lamp in the video above if I could use it properly and in this no. But then in the next video will improve this inconvenience. (^◇^;) In this video you can hear my voice, I would like to know what you think of my voice. ❤ ー(⌒▽⌒) I do every video with much love to all of you who follow me. 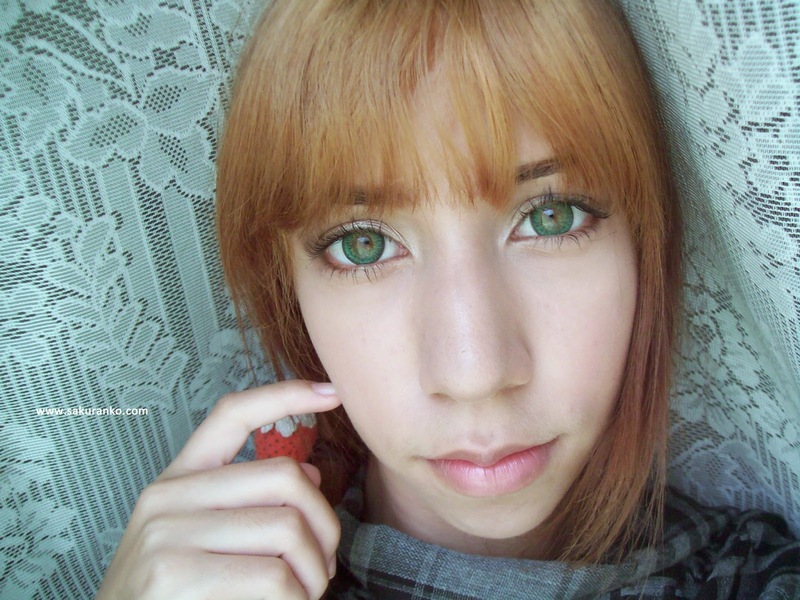 And for those who ask me I love my natural eyes, I wear circle lens for fun and for looks different. Today I want to show you these great masks b · liv. Why great? Because they are designed for all ages and all skin types. Personally I have oily skin and not all masks are me well on my skin. 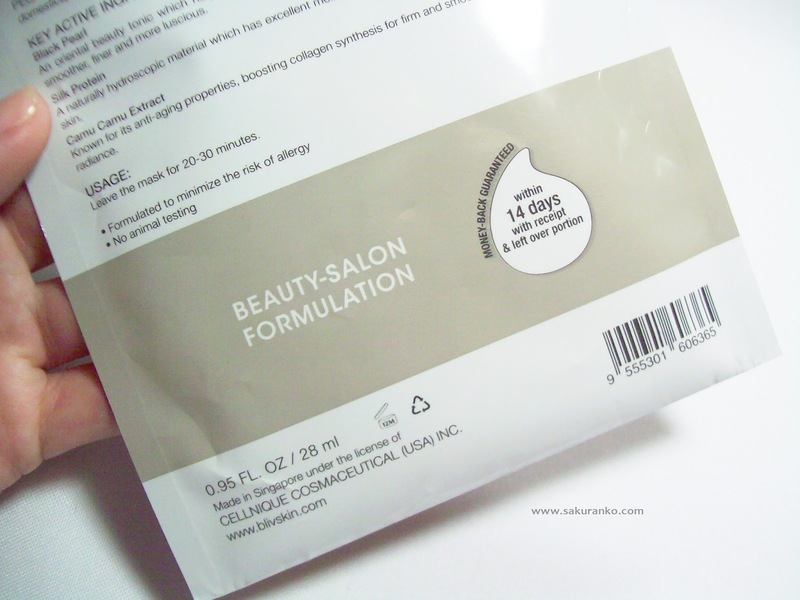 Like the masks for oily skin are not good for dry skin as they tend to dehydrate. I´ll show this mask and because I liked one try to introduce you to all those who don´t know. 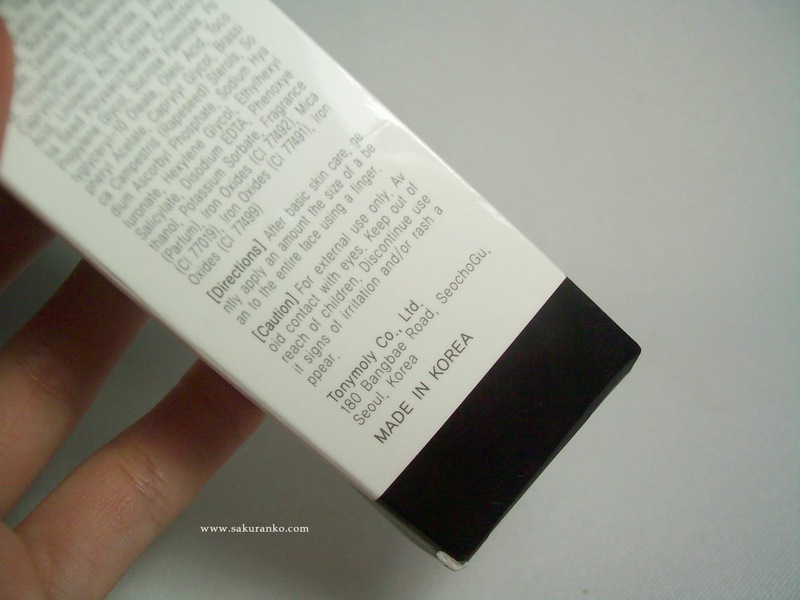 Ingredients and Key Active Ingredients! Bright is right restores skin’s radiance by refining and smoothening the texture of the skin. Its 100% pure Japanese Nano-Pearl Powder, a source of amino acids and minerals, regulates pigmentation and revitalizes your skin, while its moisture-retaining ingredients provide instant hydration. For all skin types, especially for dehydrated, dull and hyperpigmented skin (all ages). - Accelerates the skin’s natural process of shedding dead skin cells and replaces them with new ones revealing a pure, fresh and healthy-looking skin. 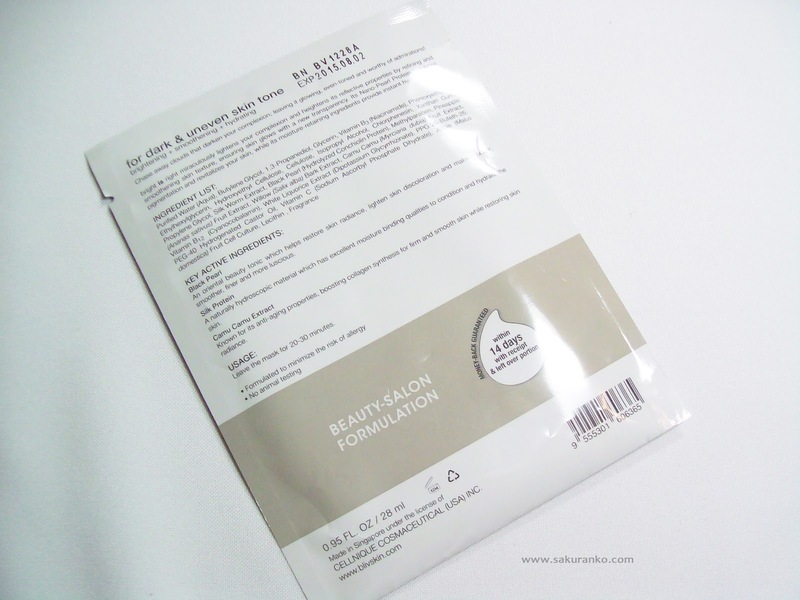 - Provides instant hydration t and helps skin preserve its optimum moisture balance. - After use feel the moisture immediately. - Rinse lightly and leaves a feeling of softness. - Leaves skin much cleaner. - Skin feels much firmer and smoother. This mask is very good, much better than many others I've tried, beyond what it says it has honestly I think that after my skin remove'm not too moist enough to start getting oily. Leave my pores fairly clean however a little large. That started as a counter because I hate my pores well. However, in terms generalesme found very good. If the skin is much cleaner and if you say something brilliant, but I think it's because it cleans dead cells. This mask is ideal to moisturize and cleanse the skin.